Wait, how can it be the last Tuesday in June? Didn't we just start June? I mean really. There has been a lot more baking than sewing going on around here lately, maybe because we've had some occasions to celebrate. Maybe because I've been on single parenting patrol while Daddy is out of town working and I love my kid but I am wiped out by the end of every jam-packed day. So my machine and I are looking wistfully at each other, hoping to have a playdate of our own soon. SOON. In the meantime I will entertain you with photos of yummy food! The cake and glaze are both from the Cake Mix Doctor cookbook, which I love and use all the time. I was just going to share the cupcake recipe below but I feel like now that I've teased you with the glaze I should at least tell you what's in it (in case it shows up on your dinner table tonight too). Melt the butter in a saucepan over low heat, add the cocoa powder and cream and stir until the mixture thickens (about 2 minutes - do not boil). Take off the heat and add the vanilla and powdered sugar, stirring until smooth. Spoon over cooled cake or directly into your mouth. Then my BABY, baby brother turned 37. THIRTY SEVEN! I have no idea how that is possible. And it made ME feel old (which I am not but it was momentarily shocking). So my brother isn't really a fan of sweets (crazy right?) but he loves these cupcakes. As in guards the leftovers with a snarl type love, which absolutely cracks me up. 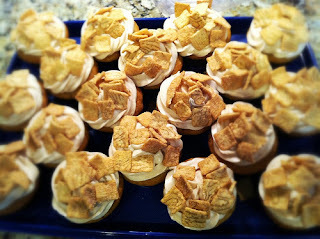 Cinnamon Toast Cupcakes with Cinnamon Cream Cheese Frosting and some Cinnamon Toast Crunch cereal on top for, you know, crunch. I've never met anyone who didn't love these. It's best to frost them close to when you're planning on eating them because the cereal draws moisture really quickly. Not usually a problem around these parts but thought I'd let you know. Preheat the oven to 350 and line 24 cupcake pans with paper liners (ok, really this recipe always makes about 30 cupcakes for me but the recipe says 24. You might get more). Mix all the ingredients in a large bowl on slow speed of mixer for about 30 seconds. Turn mixer off and scrape down bowl. Mix an additional two minute until mixture is thick and creamy. Spoon (or scoop) about 1/3 C batter into each cup, filling it about three quarts full. bake 18 - 22 minutes, until lightly golden brown and the spring back when you touch them. Let cool in pan 5 minutes and then completely on racks before frosting. Blend butter and cream cheese until combined, then add powdered sugar one cup at a time and cinnamon. Mix on medium until fluffy. (you can add more powdered sugar to thicken or a splash of milk to thin, if needed). Frost cupcakes, then sprinkle with Cinnamon Toast Crunch cereal - you may need to press cereal to get it to stay on. Eat and enjoy! Thanks again to Debbie over at a Quilter's Table for dreaming up and hosting Tuesday at the (Summer) Table - it's been yummy! Hey folks! Remember me? Last week was a whirlwind of out-of-town company (yay!) and yard work (UGH) all while the Daddy around here was gone for a couple of weeks on a business trip. Can you say BUSY? So to make up for missing last Tuesday I have no one, not two but THREE yummy summer recipes to share! The first is this one, grilled corn. We did this for the first time last summer, fell in love with it and made it countless times since. It's so ridiculously EASY. Husk your corn and soak the ears in a bowl of cold water for about 20 minutes. We usually break them in half to make them easier to soak/grill/share - but of course this time we left them long. Works the same either way. So then you rub them with olive oil and grill them over medium heat, turning a couple of times, for about 20 minutes. Then slather with butter, salt and pepper. Or cheese ;-) Seriously, that's all there is to it and it's the yummiest corn I've ever had. Next up is this bundle of cheesy goodness, courtesy of my other BFF, Pinterest. ;-) You can find the Three Cheese Potatoes recipe right here. You basically peel and cube the potatoes, toss them in oil and/or butter and some seasonings and bake in a foil packet on the grill. Then when the potatoes are cooked you throw some cheese on top. Potatoes? Good. Cheese? Good. Not heating the oven up in June? Great! These were my favorite part of this meal and I will absolutely be making them again. Soon. Finally we have my husband's pride and joy - the burger day. It's a hamburger shaped like a hot dog. He was working in San Francisco at that little golf tournament they just had out there and these were a specialty that the club served. He was smitten. He was determined to re-create them at home and so he did. He basically used one pound of ground round (80/20) and pressed it between two cookie sheets to get it to be one thin rectangle that he cooked on the griddle (NOT on the grill). Flipping it was a trick! He sprinkled both sides with salt and pepper and that was it for the seasoning. When it was pretty well done he added some American cheese on top and then sliced to fit the buns. Gotta say they were pretty delicious - nice crust from the griddle and the fun form factor made them a hit. We had a friend who was nice enough to share this article on hamburger dogs and these pictures show the burgers cooked individually. So in the spirit of research we'll probably try them that way next time. Either way, tasty. Who knew that the burger dog was such a thing?! Not me but I'm happy to share so now you can be in the know as well :-) Hope you're getting some yummy summer meals shared around your table as well. 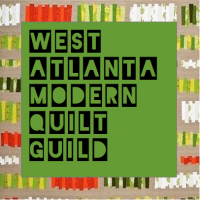 Thanks again to Debbie at A Quilter's Table for hosting Tuesday at the Summer Table series! Have you guys been following all the great pattern reviews going on all month over at Purse Palooza? Sew Sweetness totally has my number with this series, as I am an admitted bag-aholic and I am completely digging all the tips and hints her fantastic reviewers are sharing. The Lindsay Tote looks particularly great and it's a free pattern from Pellon - can't beat that! So we have a couple of cousins turning 5 on Sunday and I was inspired by this tote bag tutorial I found over at Craft Buds to make birthday bags as part of their gifts. These were all Kokka fabrics I had in my stash AND my stash is so ridiculous that I even had all the webbing for the straps in the closet! Sweet! The pattern had two fun options - this reinforcement of the straps, which I did and think looks quite cute and the second, which I didn't do but may on the next one I make, was to sew along the four corners to make them more defined. I put the straps four inches in from the side seams and I think to sew along those seams they would need to be 4 1/2 or 5 inches in to not interfere with the line of stitching. Oh and did you notice the bonus bag for the child whose birthday it ISN'T but who NEEDED a birthday bag too? And then she insisted the twins older brother would need one too - she's a giver that one. But they were so easy I can't resist her little "pwwweeeeeze" and so that's the story of the four birthday bags (and only one birthday). So there's my pattern review ;-) cute, quick and easy and perfect for gift-giving! Have a great weekend and I'll see you back here next week! I feel like the months keep speeding by this year and I know I say it every month but June? Already? Really? Wow. So one of the fun things going on this month is Debbie's Tuesday at the Summer Table series over at A Quilter's Table. If you like fabric and food you'll love her blog - go have a peek! So all June long she's doing special summer themes, fun right? Today is beverages/appetizers and I have two great ones for you. Personally taste tested and everything! This first one came from poking around the Southern Living blog after I saw a list of appetizers pinned on Pinterest, you know the type "30 fun fast finger foods" or something like that. 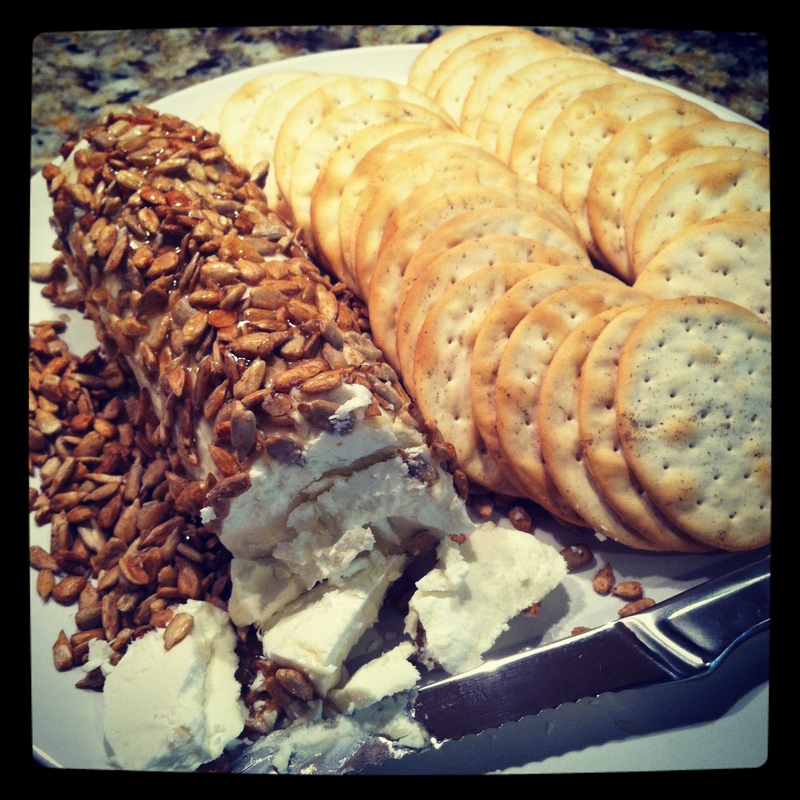 This one appealed to me me because a) I love all cheeses and b) it seemed like the easiest appetizer ever. It totally delivered on the ease factor taking about 5 minutes to assemble. As far as taste goes it's one of those things where the total far outshines the sum of it's parts - surprising delicious. Creamy, tangy, salty, nutty, crunchy and sweet - can you beat that? Not in my book. 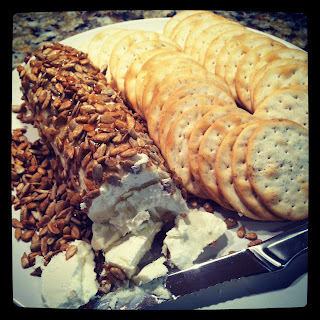 You take one log of goat cheese - I used a jumbo one from costco - rolled it in toasted, salted sunflower seeds (you'll need to press them a bit to stick on) and drizzle it with honey. Add crackers and serve. That's it! Can you believe it? And you won't believe how good it is. Seriously. So. Good. I think you could use any type of salted nut and I think salted chopped pecans would be especially tasty. You could also use a small log of goat cheese. I did end up leaving the honey out for extra drizzling to taste, as it tended to drip down onto the plate after a while. This recipe is slightly more involved - but really not much more. And I know you won't believe me but this one is easy too! Homemade ricotta! You will feel like a ROCK STAR in the kitchen and you will end up with something so decadent and elegant that you will be amazed. I used Deb's recipe from the Smitten Kitchen and it worked fabulously. I also read the recipe in the Handmade Pantry (a wonderful cookbook) by Alana Chernila. Both recipes were similar but Deb's made a smaller amount. You can head over to Smitten Kitchen for the actual recipe but here's the gist: you combine milk, heavy cream and salt in a saucepan and heat to 190 degrees (you need a kitchen/candy thermometer). Then add lemon juice - recipe called for fresh but I used bottled (gasp) and it turned out great. You let still for a few minutes and then strain through cheesecloth. Voila! Homemade ricotta! And I was stunned at how delicious it is. I'm going to try the recipe from the Handmade Pantry next time just to compare - and I will share one tip she gave that Deb didn't: swirl one ice cube in the bottom of your pan BEFORE you add the milk/cream mixture. Make sure the ice touches all the surfaces of the pan and as long as you don't touch the bottom of the pan with anything metal this will keep your pan from scorching. I'm obviously not an expert here but I did use this trick (and a wooden spoon) and had no problems with scorching. So on to the eating! I tried the ricotta on some crusty toast with olive oil and pepper, one with balsamic vinegar and one with honey and sliced almonds. *Sigh* ALL so tasty. These could easily have been dinner all by themselves. The other ideas I had were crusty toasts spread with: ricotta mixed with lemon zest and topped with sliced, ripe strawberries and ricotta topped with diced or sliced fresh tomatoes then drizzled with olive oil and sprinkled with salt. 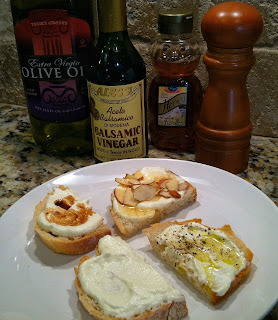 I think any topping that adds a little crunch, acidity and/or sweetness would complement the creaminess of the fresh ricotta nicely- the variations seem endless and delicious. Paired with a icy cold beer or glass of wine I could easily (happily) spend a lot of time and calories this way this summer! Thanks to Debbie for the motivation to get cooking :-) I'm really looking forwards to Tuesdays this month and all the yumminess!